Are you selling a home? 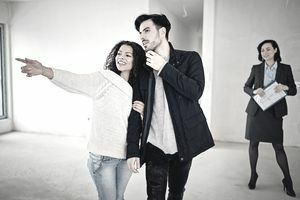 Did you know that even though home buyers are all looking for something different, the majority of them will turn around and walk back out of your door if they notice one or more of these issues. Here is a list of homebuyer turnoffs to avoid. House odors are number one on the home selling uh-oh list. And narrowing it down, odors from cigarette smoke and pets take top billing, with mildew not far behind. If you smoke indoors — the house smells like cigarettes. If you have pets, the house might smell bad — even if you don't notice it. Ask someone who doesn't live there to take a sniff, and don't get angry when they tell you the truth. Eradicate the odors so that you can present potential buyers with a clean, fresh atmosphere--not a house that's full of perfumes to cover up the odors. Dogs frighten some people and irritate others. You'll have a much better response from showings if you control your pets--dogs, cats, whatever. You say you plan to put them in a bedroom or garage and then ask people not to open the door to that area? Bad idea. Would you buy a house you can't inspect? Of course not. Remove pets during showings if possible. If you can't, contain them in crates for their own safety and to show respect for the feelings of potential buyers. Grimy bathrooms are an instant turnoff. Scrub them, paint them, buy a new shower curtain, rugs, and towels--do what it takes to make them shine. If you're serious about selling the home, the extra work is a must. Busy wallpaper in every room turns off most buyers, and even people who love wallpaper rarely like what you've chosen. It's a personal decorative touch that they want to select themselves. It's the masses you must appeal to when you're selling a home, so take a hard look at your wallpaper and decide if it should be removed and replaced with paint. Don't paint over it, because it will be obvious that you did — and buyers know that makes removing it even more difficult. Dampness or damp smells in the basement throw up a red flag to buyers that the foundation leaks! Most problems we see are not caused by faulty foundations. They occur because rainwater is being diverted towards the foundation instead of away from it. Go outside the next time it rains and determines where runoff water is going. Roaches, spiders, any insect that shouldn't be in the house. Get rid of them. You must grab a buyer's interest from the curb if you want to sell the home for top dollar. Home buyers often refuse to go into a house with an unkempt yard, sagging doors or peeling paint. You say you can't afford to paint? Okay, but get that yard in tip-top shape and grab a screwdriver to fix those doors. I'm serious. Some people never clean their gutters, and it always makes buyers wonder what else hasn't been maintained. Remember the drainage issue mentioned above Cleaning packed gutters might help. Yes, you... leave the house during showings. Home buyers feel awkward about opening closet doors and lingering for a really good look at the house if the seller is home. If you're selling by owner, give them some space, don't hover. Most of these problems are home selling issues you can correct without spending a lot of money. Do it now, before you put the house on the market because if your house develops a reputation among agents as the house that smells, the house with the huge barking dog or the house where the owner won't leave people alone, it will be too late. Your house will be last on their list to show potential buyers.